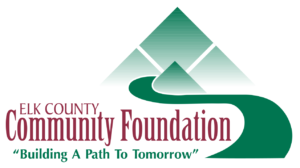 St. Marys, PA: The new Elk County Community Foundation website now offers the opportunity for high school seniors and non-traditional students to view a comprehensive list of all scholarships available through the Foundation. The website at www.elkcountyfoundation.org features a comprehensive Information for Students section that lists the many scholarships available. This serves as a valuable tool that allows students and their parents to search for scholarships that can help them with their post-secondary or vocational education expenses. The website listings include details on amounts, deadlines, eligibility, categories, and how to apply. Scholarships listings are divided by high schools, with additional sections featuring scholarships for vocational and non-traditional students. The scholarship section also features a Q & A area that addresses most frequently asked questions. Now is the time for students to start exploring what opportunities may be available to them, as the deadline for many of the high school senior applications is mid-March. A total of 99 scholarships are featured on the website, with seven new scholarships added just this year. New scholarships this year for Elk County include the Arlan J Clayton and Dale Horowicz Clayton Scholarship, St. Marys American Legion Scholarship, St. Marys Sons of the American Legion Post 103 Scholarship, Dr. Maurus Sorg Memorial Scholarship, Donald Cicuzza Jr Memorial Scholarship, The Fitch Family Scholarship, and the Jack Kestler Memorial Scholarship. The Foundation’s scholarship team has distributed all post-secondary and vocational scholarship applications to high school guidance departments throughout Elk, Cameron, McKean, Clearfield and other outlying counties. They encourage high school students and their parents to review the scholarships on the website and then contact their guidance department to apply for those that interest them. Non-traditional students should download applications and follow instructions as directed on the website. Over 1.6 million in scholarships have been awarded by the Foundation since 2000. As an added bonus due to the Foundation’s partnership with PATH (Partners for Access to Higher Education), students who receive a scholarship through the Foundation may qualify for matching dollars through PHEAA and the PATH program. In the 2017-2018 school year over $71,000 was matched to 67 local students. Visit the Foundation’s website at www.elkcountyfoundation.org to learn more about scholarship opportunities for area students. These scholarships are made possible by the generosity of community-minded individuals who believe in the power of education. The Elk County Community Foundation, an affiliate of the Community Foundation of the Northern Alleghenies, provides donors with a simple but powerful and highly personal approach to achieving their philanthropic goals while enhancing the quality of life for the people of Elk County. For further details, contact the Foundation at 834-2125.